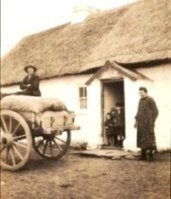 Tom Coughlan Genealogy Research is a small team dedicated to meeting your research requirements. Click link below for a little more biography on Tom. We are researchers in Irish Genealogy and this is an important point. While we have subscriptions to inernational online repositories through sites such as Ancestry and Findmypast, we do not claim to be experts in research among the records of any country other than Ireland. Therefore, if you research has international dimensions, we have contacts with expert researches in the United States and the United Kingdom with whom we are pleased to share projects. We are based in Dublin, giving us ready access to all major repositories based in the Republic of Ireland. In addition, Belfast, which contains the Public Records Office of Northern Ireland, is only a few hours' drive away. We also have a base in Co Leitrim, giving us easy access to repositories of local matter for the counties around there.